Calf roping, dinosaur birthdays, 3-D printing, ice cream gluttony, and more! What: Cheer on pint-sized racers in homemade cars at this event sponsored by Cool Dads Rock, a nonprofit aimed at encouraging strong relationships between fathers and their children. In addition to racing, there will be music, food, and kid-friendly activities. When: A band starts at 9:15 a.m.; the parade kicks off at 10:30 a.m.
What: The parade, which honors living U.S. veterans from every war and military branch, will feature floats, high school marching bands, children’s activities, and more. Afterwards, gather at the American Legion on Wills Road for free hot dogs and sodas. What: More than 50 riders will compete in events like calf roping and barrel racing at the nation’s only traveling black rodeo, created to honor the legacy of black pioneers in the West—including early 20th-century rodeo legend Bill Pickett. What: The hills are aliiiiiiiiiiiiiiiiive! Belt out your best Julie Andrews impression at this big-screen sing-a-long; come back on the 29th to croon along to Frozen. What: Cool off the kids with sprinklers, water crafts, water games, a “bubbleologist” and more. Come dressed to get wet (think swimsuits and flip flops). What: Introduce your teen to a more irreverent side of Shakespeare. In this hyperspeed two-hour mash-up of the Bard’s 37 plays and 154 sonnets, Othello raps and the histories are reimagined as a football game. What: The tortoise and the hare, the country mouse and the city mouse, and other familiar fable characters star in this interactive production for toddlers and preschoolers. What: Little Thomas the Tank Engine fans can hop aboard at this event for miniature outdoor railroad enthusiasts. When: 12 p.m. to 8 p.m.
What: Chow down on ‘cue (from Fox Brothers, Williamson Bros, and Sweet Auburn) while you groove to live music by national and local bands, including Beverly Watkins, Michelle Malone and Seven Handle Circus. 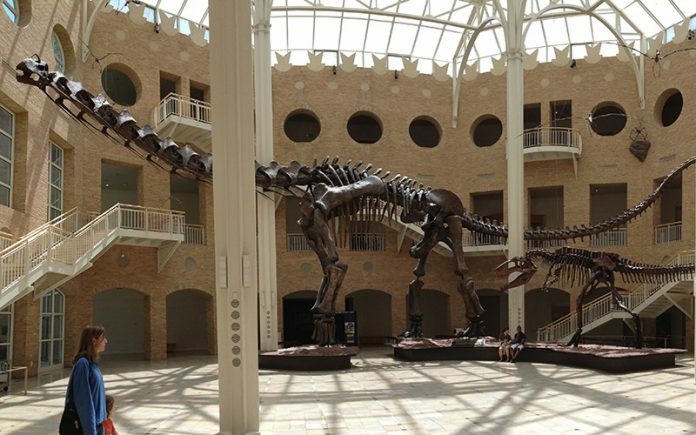 What: Fourteen years ago, the permanent Giants of the Mesozoic exhibit opened inside Fernbank, making it the first museum on earth to assemble both of the world’s largest dinosaurs. Bring the kids (costumes encouraged) to celebrate with dino- and birthday-themed activities. What: Kids can “meet” the famed author of Gone With the Wind and learn about her life as a reporter, novelist, and philanthropist during WWII. Plus: lawn games, live music, Southern food, and a theatrical reading of Tomorrow Is Another Day, a fictional account of the day before the Atlanta movie premiere of GWTW. What: Visit this exhibit, which explores how 3-D printing is changing the world; or sign up Junior for one of MODA’s interactive 3-D printing classes for kids (ages 8 to 15), and the $25 fee will cover admission for him and an accompanying adult. What: Enjoy live music while you taste more than 100 flavors of homemade ice-cream (you can even try to lick the competition in an ice-cream eating contest). Then let the little ones burn off their sugar high in the kids play area.